HomeFulhamTransfer Rumours: Manchester United Planning Switch For Ryan Sessegnon? Manchester United and Fulham met this Saturday in the Premier League, and The Red Devils ran away as winners by a comfortable 3-0 score at Craven Cottage. However, there’s a possibility these two sides grab headlines once again, but due to transfer reasons. According to several reports coming out of England, the Old Trafford side is keen to talk with Fulham regarding a potential £50m move for Ryan Sessegnon. The winger has been reluctant to sign a contract extension with The Cottagers. And The Red Devils are keen to pounce on the chance to sign him. Sessegnon might only be 18 years old, but he’s ready to play in the Premier League on a regular basis. And due to Fulham’s looming relegation threat, his stance makes sense. Why would he sign a new deal if the South London side is probably headed back to the Championship after only one season in the top-flight?. However, finding a fit for Sessegnon in the current United scheme seems tough, to say the least. The club already has Anthony Martial and Alexis Sanchez for the left-wing role. 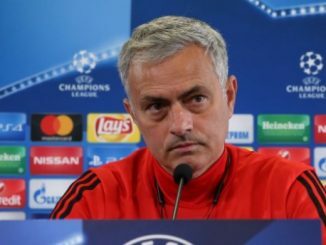 They also have Luke Shaw, Diogo Dalot and Ashley Young for the left-back spot. Sure, Sessegnon is good enough to challenge Shaw for the starting LB role. But why would United have two up-and-coming players battling for only one position? And based on how good Martial has been this season, he’s probably not leaving the starting XI any time soon. Oddly, Sessegnon hasn’t been able to nail down a regular starting role since Claudio Ranieri joined Fulham. It makes sense to see the Italian trusting more experienced players given the situation of the team. However, Sessegnon should be playing more often. He’s one of the club’s premier assets and, if he’s not going to sign a new deal, they could always show him around and see if other teams pounce to make a move. Less than 12 months ago almost every single Top 6 side in the Premier League was heavily linked with a move for the versatile youngster. Now, it seems Manchester United have the edge on the race to acquire him. Will they add him to the squad, further enhancing the club’s policy of signing young players to develop them? Or will they engage on a bidding war for one of England’s most highly-rated prospects? The rumour is out there, though. So it shouldn’t be surprising if Sessegnon ends up featuring at Old Trafford once the 2019-20 season starts.